An interim report compiled for the General Medical Council (GMC) by a consortium of researchers known as UMbRELLA and led by Plymouth University represents the first UK-wide investigation into medical revalidation. It has found that around 40 per cent of doctors are changing how they work as a result of their last appraisal. The report shows that around half of doctors under the age of 50 have changed the way in which they practice. Revalidation for doctors was introduced in the UK in December 2012 and requires all doctors to demonstrate that they are ‘up to date and fit to practise’. It consists of a five-year cycle review based on annual appraisals. The process includes feedback from colleagues and from patients. This latest interim report is part of a three-year study into the impact of revalidation. Its results are based on a survey of 26,000 licensed doctors together with hundreds of responsible officers (who oversee the practical application of revalidation) and feedback from patients and the public. UMbRELLA is led by health education academics from the Collaboration for the Advancement of Medical Education Research and Assessment (CAMERA) at Plymouth University Peninsula Schools of Medicine and Dentistry. The consortium also includes Belfast Health and Social Care Trust, Healthcare Improvement Scotland, NHS Education for Scotland, Manchester Business School at the University of Manchester, University College London and the Wales Deanery. The final report will be published in 2018, while the interim report will contribute to the revalidation review being conducted by Sir Keith Pearson, Chair of the GMC’s Revalidation Advisory Board. The GMC will address the findings of the interim report and Sir Keith’s recommendations, when his report is published later this year. 90 per cent of surveyed doctors have had a medical appraisal in their career, 94 per cent of whom had had an appraisal in the previous 12 months. 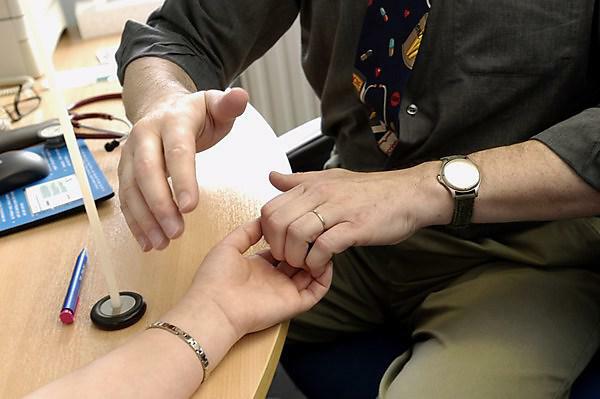 Around a third of doctors said revalidation has improved the appraisal process. More than 40 per cent of doctors believe appraisals are effective in helping doctors to improve their clinical practice – and less than a third disagreed. Doctors in some specialities (such as anaesthetics, psychiatry and emergency medicine) struggle to collect patient feedback. Doctors who obtained patient feedback found it is the most helpful information to support reflection on their practice.